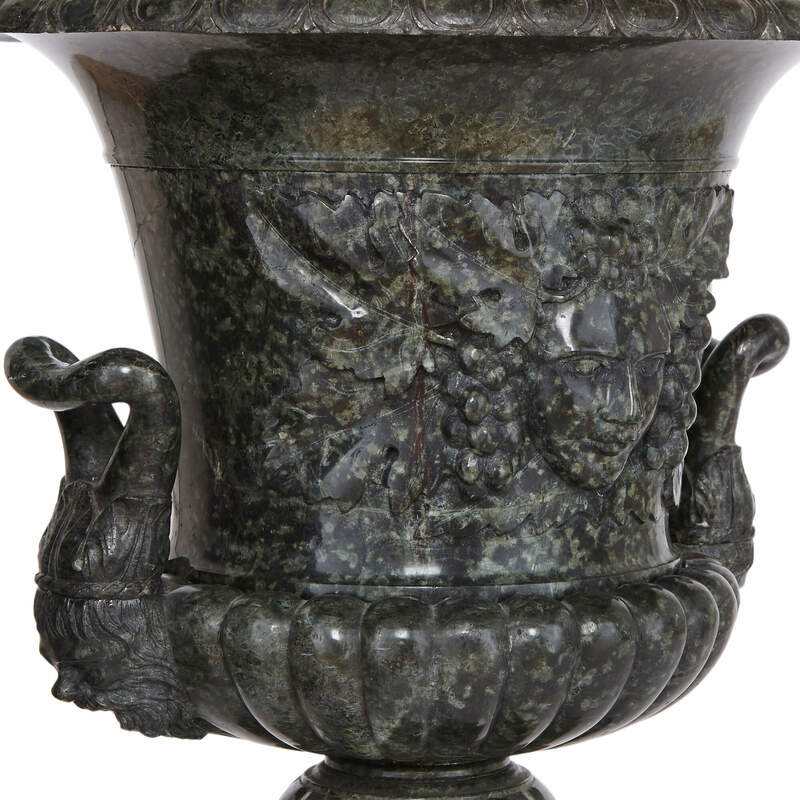 These fine and elegant 19th Century vases are crafted of majestic green serpentine marble, and exhibit a remarkably tasteful Neoclassical style design. 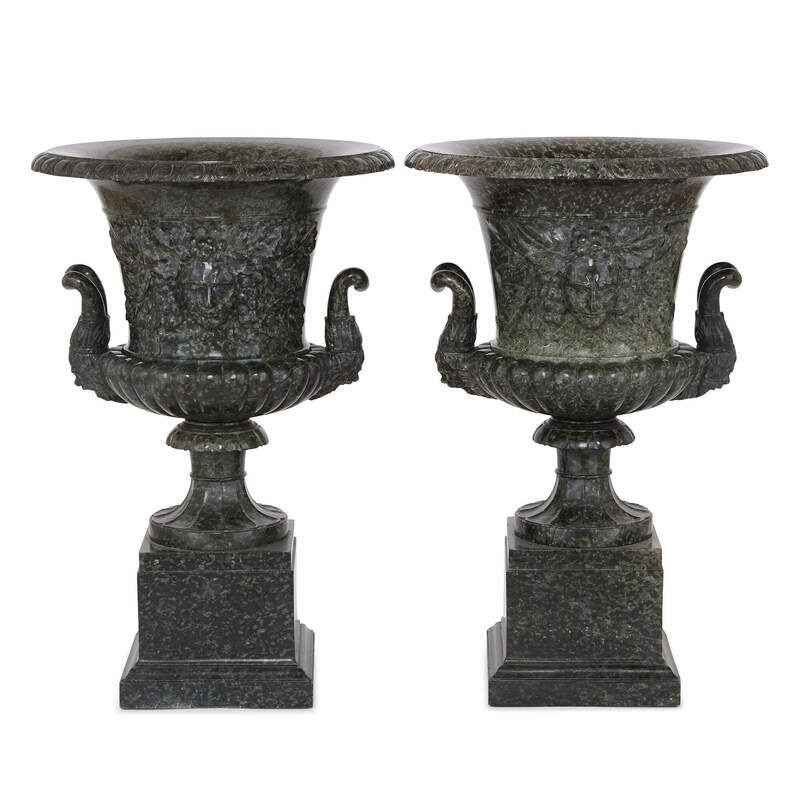 The charming pair of vases are of crater-form and feature broad rims carved with an egg and dart pattern. 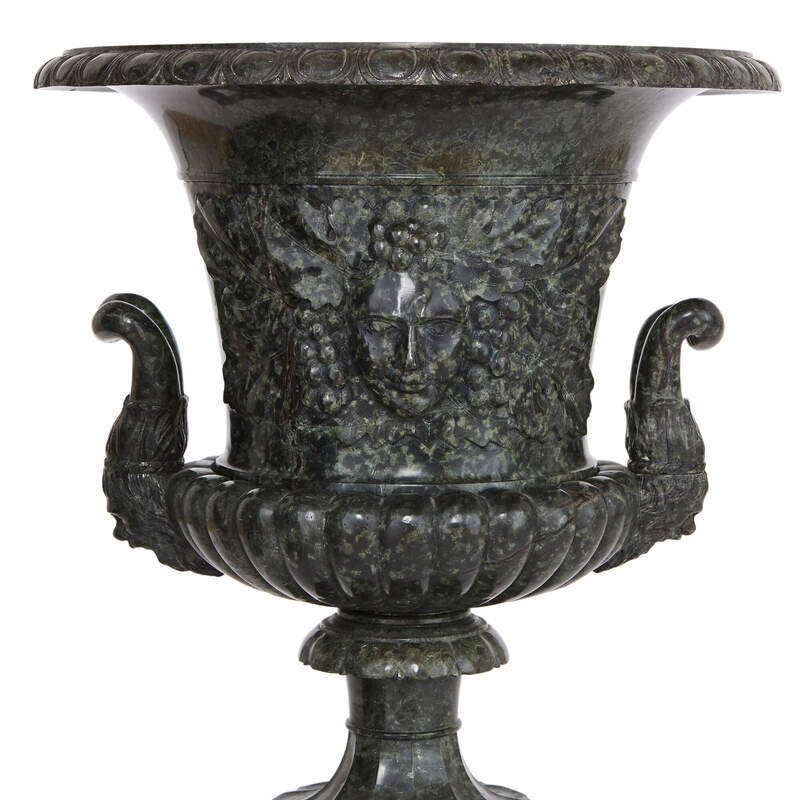 Each vase body is carved with a central relief mask of Bacchus, the Roman god of wine and fertility who is also known as Dionysus in Greek mythology. 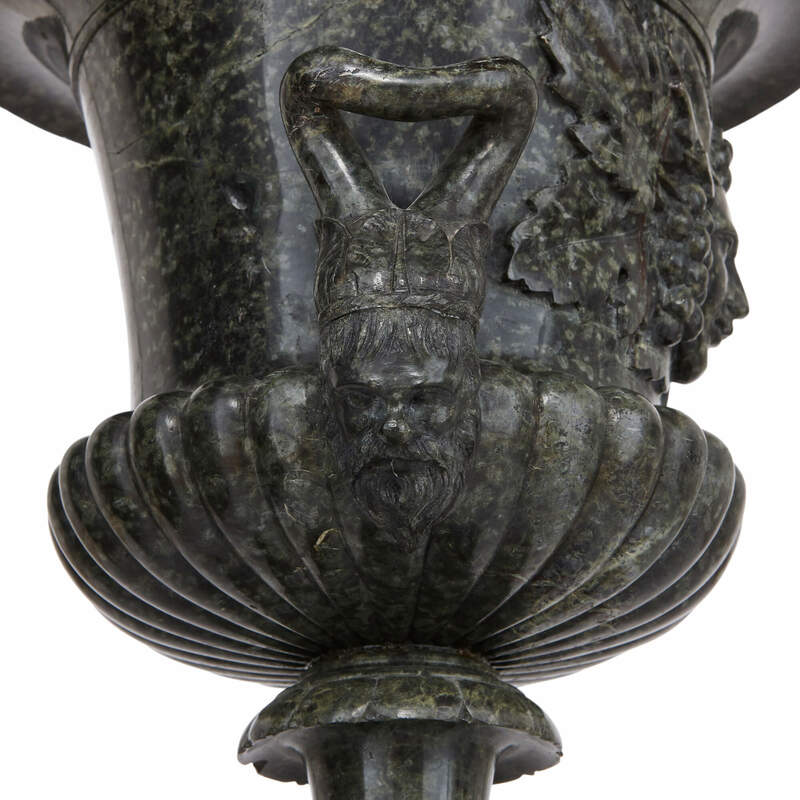 The lower parts of the bodies of the vases feature gadroon details set with twin scrolling mask handles to each side. 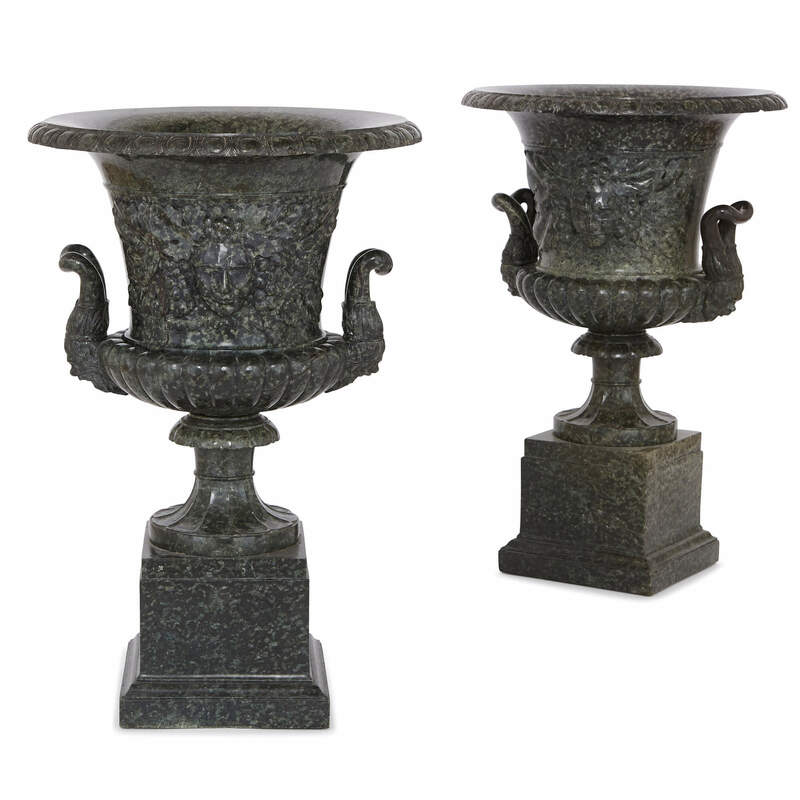 The vases are set onto socle-form supports upon robust cube-form plinths. 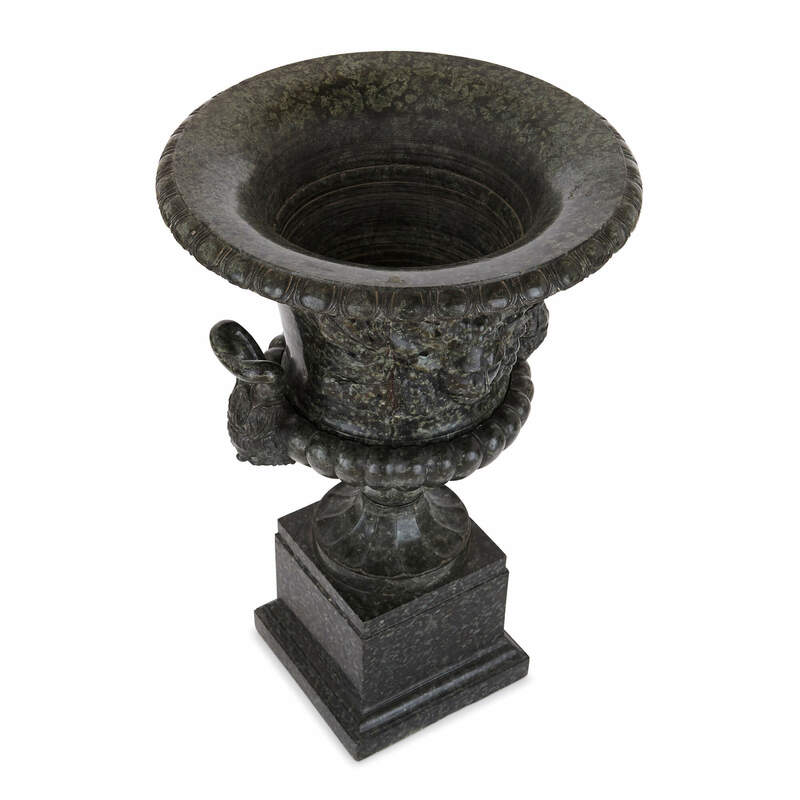 They would make a wonderful addition to either an interior or outdoor setting.